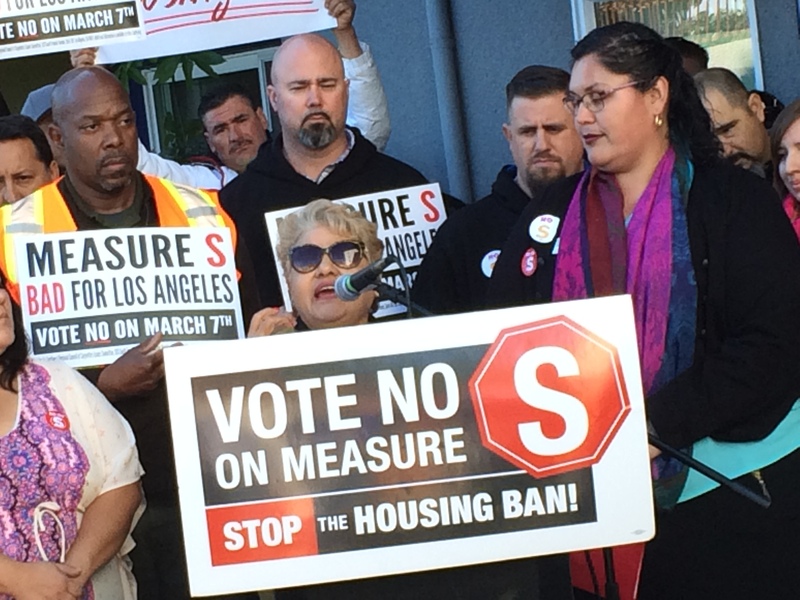 SAJE opposes Measure S because we believe our city needs housing for all and needs to grow to maintain our diversity, vibrancy and economic power. Ours is an extensive vision reflecting the sophistication of low-income people of color and other stakeholders in South Central LA. For decades, SAJE and its partners in the United Neighbors In Defense Against Displacement (UNIDAD) coalition have established models of authentic community development and have confronted major institutional and individual developers to achieve community benefits and anti-displacement investments and policies. These successes would have been impossible without a long-term, community-oriented commitment to strategic action, development and local capacity building. And they make absolutely clear that we are not anti-development; we are pro-equitable development. Our belief in sustainable, equitable development led SAJE to file a lawsuit against the City of Los Angeles and the investors who have proposed a $1.2 billion development known as “The Reef” in December of 2016. This lawsuit follows over three years of grassroots community-based organizing, analysis and visioning around the project site that emerged from a clear vision that development can be equitable and development can be done without displacement. This community process produced a 16-page set of proposals that would transform the project in nine different community-serving areas. These proposals were bolstered by a Health Impact Report and a financial analysis of the project that, together, gave direction to the issues needing to be addressed and the scale at which the project could invest in those issues. The community proposals are supported by thousands of local residents and stakeholders. The project the City approved includes a grossly inadequate set of community benefits and does not come close to addressing the enormous displacement impacts the Reef is projected to have. In November of 2016, a vast majority of voters in the City of Los Angeles passed Measure JJJ – and in doing so – made clear that projects exactly like the Reef should invest deeply in local residents in the form of deeply affordable housing and good, local jobs. The Reef, as approved by the City of LA, falls far short of these goals. For these reasons, SAJE continues to fight for community-serving development at the project site. We stand for development that invests in the local people, in the people who have been the longtime investors in this community as renters, as patrons, workers and owners of local businesses, as students, and as homeowners. Among us are many who have been homeless or recently became homeless as a result of our housing affordability and displacement crises. While we can and should fight against development that works against us, Measure S would curtail the development we need for our communities. We need development for all. Vote No on Measure S.